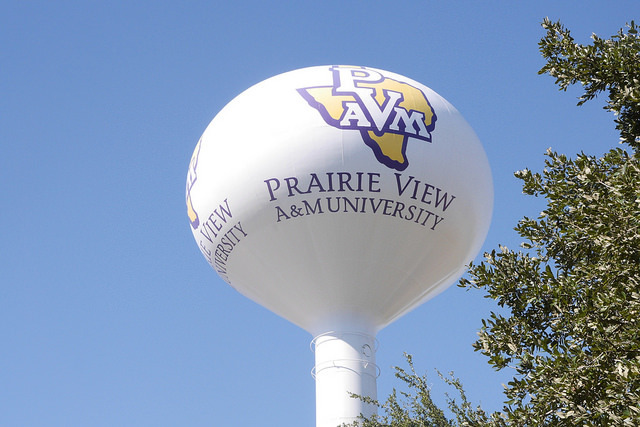 Voting rights at Prairie View A&M University have been contested for decades, including during a Supreme Court decision in 1979. Photo by Kerry Breen. Prairie View A&M University, a four-year college about an hour outside of Houston, Texas, is ready for the 2018 midterm elections. Candidate signs are clumped together by buildings and near parking lots. 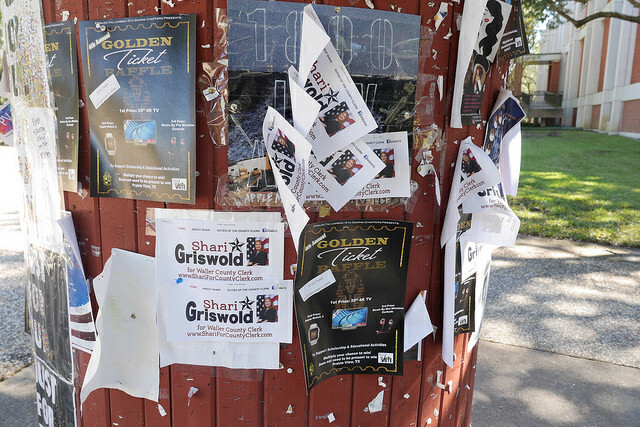 Stickers for candidates are plastered on phone booths and newspapers stands in the Memorial Student Union, and flyers for candidates hang on public bulletin boards. But despite the Election Day buzz, students at this historically black university have already had to jump through hoops to even be allowed to vote in the predominantly white Waller County. Allen is one of five students involved in a federal lawsuit against Waller County, where Prairie View is located. The lawsuit, which was filed on the students’ behalf by the NAACP Legal Defense and Educational Fund, alleged voter suppression due to the lack of early voting opportunities for students on campus. During the first week of early voting, there was no polling site available in the city of Prairie View or on PVAMU’s campus. In the second week, the city was granted five days of early voting, but two of those days were off-campus and inaccessible to most students, who lack transportation. These polling sites also offer less hours than polling sites in Waller, with no extended hours. 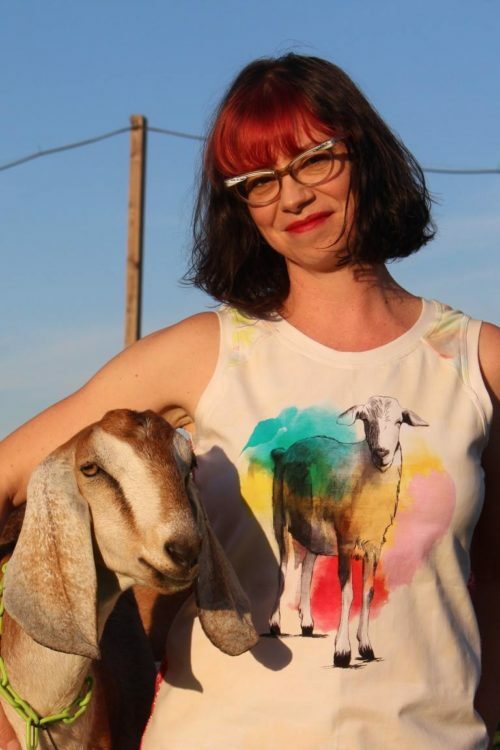 Lisa Seger is the Democratic candidate for Texas House District 3. Photo courtesy of Lisa Seger campaign. The lack of early voting access was not the only problems that students faced this year. PVAMU does not provide individual student mailing addresses. Students were given two addresses to list on their voter registrations. But one address was in a different precinct, meaning that student voters going to what they believed was their assigned polling place would be turned away. Other students found that their registrations were incorrect. Tayelor Stevenson-Murphy, a senior education major, was one student whose registration was affected. She had registered in Waller County and kept the receipt from her registration. During the early voting period, she was driven to the off-campus polling station by volunteer Charlene Shafer, who lives in Houston. Upon arriving at the polling place, Stevenson-Murphy was almost kept from voting, because her registration was still listed as being in a different county. She was offered the opportunity to vote on a provisional or limited ballot, both of which presented drawbacks. “Provisional ballots, they usually end up in the trash. They don’t count, because you have to have so many days to prove why you should be allowed to vote,” said Shafer. According to NPR, many provisional ballots do not count in the end, due to the problems that can arise. Shafer said that she had never heard of a limited ballot before, and was told that it would mean that Stevenson-Murphy would be able to vote for state and national offices, but not the local offices, since the rolls said she was still registered in Harris County. Shafer eventually reached out to Jacob Aronowitz, a field director for the campaign of Mike Siegel, candidate for Representative for the 10th Congressional District of Texas. Aronowitz passed on information to the two of them, saying that since Stevenson-Murphy had her receipt, they had to let her vote. Election officials from Waller County could not be reached to comment on the situation, or on voting in general. The office did make a statement to the Texas Tribune, saying that the county will be “vigorously opposing allegations of voter disenfranchisement” and that the lack of early voting sites was due to the county’s limited resources. Stevenson-Murphy was able to vote regularly, though she expressed concern for other students who had also registered in the county, but had not kept their receipts and might face issues during the remainder of the voting period. Signs promoting local candidates at Prairie View A&M University in Texas. Photo by Kerry Breen. Candidates in the election are also concerned about the voting abilities of students at PVAMU. Valdez’s opponent, current governor Greg Abbott, did not respond to requests for comment. Students at PVAMU expressed disappointment that voting in the county always seems to come with problems. This is not the first year that Prairie View students have had difficulty voting in elections. The history of voting complications goes as far back as 1972, when students were told that they could not vote in the presidential election because they were not legal residents of Waller County. Efforts to keep students from voting included propertyownership requirements and residency questionnaires. Local elected officials and students worked to bring a lawsuit against Waller County, which was resolved in the U.S. Supreme Court in 1979. Having worked at PVAMU for 36 years now, Jackson has seen multiple other issues arise at the University during almost every election during his tenure. In 1992, 19 residents of Waller County, including 15 PVAMU students, were indicted for voter fraud. However, it was found that the campus had been gerrymandered so severely that when students moved across the street, they were placed in a different voting district and causing confusion. It took intervention from the United States Department of Justice to get the county to drop the charges. In 2004, the students were again challenged by the county’s district attorney, Oliver Kitzman. According to the Houston Chronicle, a Prairie View student announced that he intended to run for County Commissioner’s Court, and the D.A. declared that he would bring charges against any student who did not meet his personal definition of legal voting residence. An injunction was filed, but election officials then reduced the early voting period to a six-hour period on one day during PVAMU’s spring break. An emergency lawsuit was filed and normal early voting hours were restored. In 2007, affecting the 2008 election, new requirements, seen as arbitrary and unnecessary, were placed on newly-registering voters, and many registrations, many of which belonged to PVAMU students, were rejected since they did not meet these requirements. Again, the U.S. Department of Justice was forced to intervene. In 2013, the president of the student government association requested an on-campus ballot box, a request that was granted. However, prior to the 2016 election, there was again a problem with the lack of on-campus early voting polling stations. This controversy, which emerged just five months after the death of PVAMU graduate Sandra Bland, was again seen as an attempt to disenfranchise students on campus. 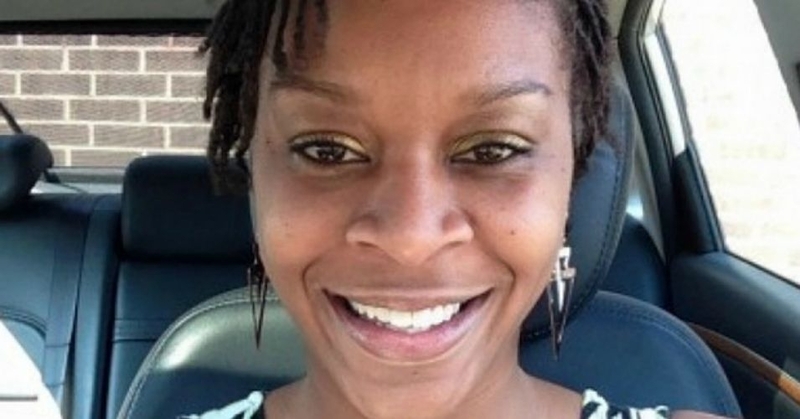 Sandra Bland , 28, a Prairie View A&M University alumni, was found dead in a jail cell in Waller County three days after being arrested during a traffic stop. Her controversial death was ruled a suicide. Photo courtesy of Common Dreams. Several people believe that the history of voting problems stems from the campus’s demographics. The campus currently has about 7,000 students, and is a predominantly black student body. The entire population of Waller County, as of 2010, is 43,205, and is predominantly white. While a solution has been reached for this year’s election, those involved at Prairie View are not optimistic about the future of voting on campus. While there has been an increase in voting engagement among students, experts say that that increase means nothing if students don’t have access to the polls. Stevenson-Murphy said that she thought that if voting were more accessible to students, there would continue to be higher rates of engagement among youth voters. Excellent site you have here.. It?s hard to find good quality writing like yours these days.